Greeting Tuning Blogs fans! Ok, tuning blog FAN, who am i kidding?! 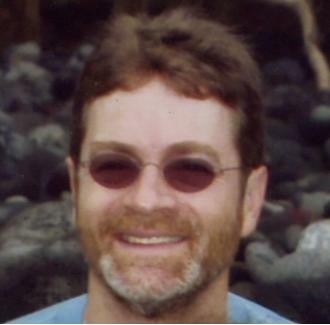 Yes, your aging Tuning Geek (no, I'm not Yoda) is winding down his CMAC Coaching career... on-hill at least. BUT! 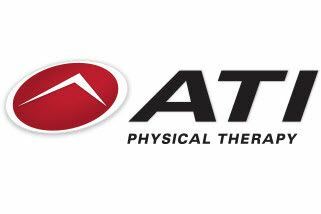 I WILL Still be around and available, although mostly in town, for tuning help, Speed Pool, and possibly even some Private Coaching and Masters Coaching. Stay Tuned. Because of the success of the Speed Pool, for sure CMAC will be continuing that program. Alan and I haven't worked out all the details yet, but we will figure it out soon and let everyone know What's Up. For next season (God willing), I will be introducing a Weekly Wax Call for all of our home and away races. Heck, I might even try it for Northwest Cup Final. Why not, right? It will be in 4 languages: Swix, Toko, Homekol, and Dominator. For those who REALLY want the Tuning Secrets, I can do some individual (or small group) clinics. Contrary to popular rumor, I AM willing to share many secrets, but I only share what I think can be helpful. Too much information just makes some people dangerous. The CMAC Speed Pool needs YOU! You know who you are: your kids are quitting/retiring and you have an overly full garage. Or your kids are growing and you don't need all those Junior Skis anymore. Or you quit racing yourself but still LOVE CMAC and want to see the Club get stronger. We need a few good pairs of FIS legal skis (200-218cm 40-50 meter) and a few young junior skis (172-190 25+meter) With quality bindings on them. Non-FIS skis 185-200 cm are still useful too. If you have some you don't need, please talk to me. 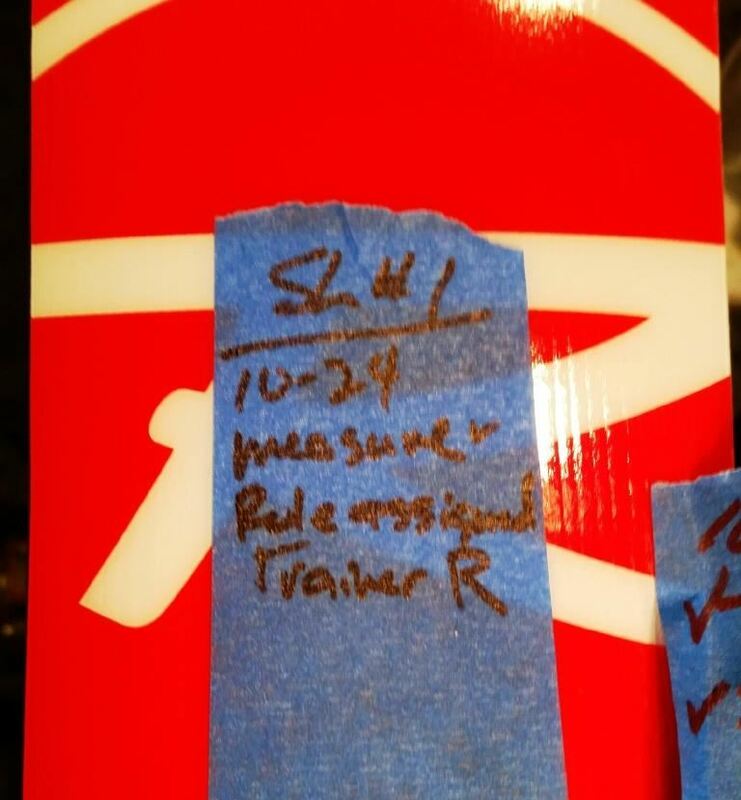 Wouldn't you like your racers to have access to Quality Speed Skis serviced by an expert? This is YOUR Chance to help your family AND the club. In case you haven't already heard, we have started a CMAC Speed Ski Pool! This will be great- because Speed Skis get FASTER with use (if taken care of) and most skis get very little use. Not to mention they are the most expensive skis. In case you didn't know, nearly ALL of the fastest skis in the world are owned by Pools- manufacturer and team pools. When 1 skier is done with a pair of these skis, they go back into the pool. The best skis are shared. The CMAC Speed Ski Pool is currently about a dozen pairs. I'm not sure how big it will become, I certainly have my limits. IF YOU HAVE GOOD Speed Skis (180-218 cm) that you no longer need, please consider donating them to the program. I will run the program for (at least) this year and 2017-18, and I will check all skis before accepting them AND before I loan them out. Sometimes I tune and wax them also. 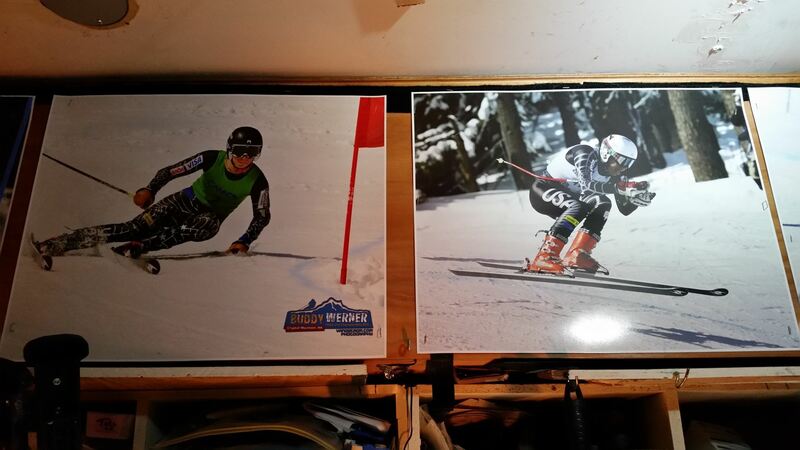 Remember this is a FREE Program for CMAC Juniors and FIS skiers to help stretch dollars and make CMAC racers Faster! These pairs (and 1 more) are going into the hands of CMAC Juniors tomorrow morning. Hi Crew! I have a few things planned for the next couple of months: 1.) A comparison of waxing methods, 2.) putting skis away (recycled content), 3.) Videos of "secrets," to ONLY be posted on Sprongo so that CMACers ONLY can see them. 4.) Brushing tricks, 5.) Juicing Tricks. Should be fun! 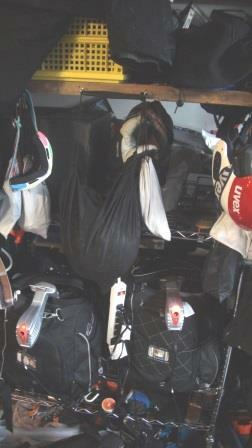 You may well have a couple races left (as we do), but for sure you are starting to put some gear away. Some people try to sell some really NASTY gear- don't be that person! Here is a list to make sure your gear is ready for next year whether you keep it or sell it. HERE is what you want. These skis are trainers ready for the next training day (believe it or not): I consider this Race Ready condition for most races and racers. Wouldn't you rather find bases like this when looking for a ski to buy? Or a ski that you (or your kids) were about to use? 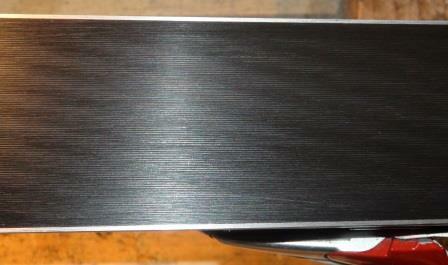 Turn the DIN (spring tightness) down to about 10% above the lowest setting. This prevents the spring from weakening during the off-season. 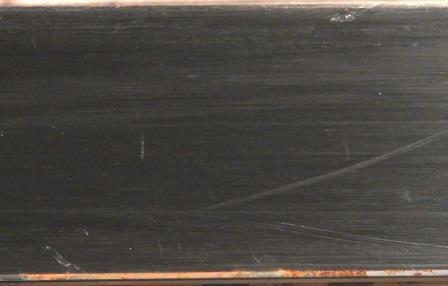 Once you have your skis clean, dry, tuned and waxed, mark what you did on Masking tape and put them away in your rack. Ready to go! 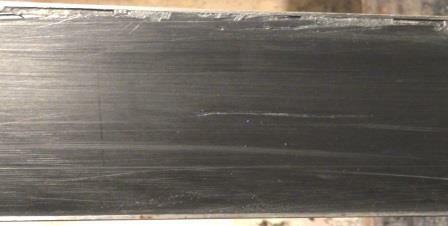 Sometimes it is a good idea to leave a thick coat of Storage wax on the skis. I do this if I am sure they won't be used for a month or more.Use your warmest, softest wax for that. 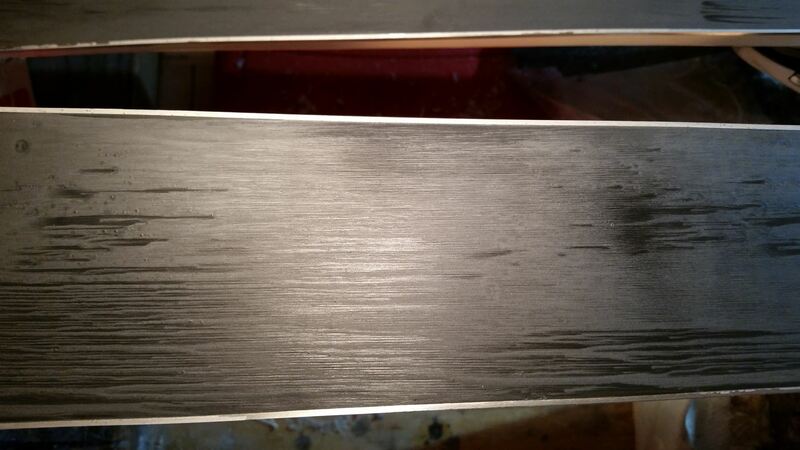 I am available through the Summer if you need help prepping new skis, or if you want some tuning/waxing instruction. Use my email address on this article, if you do not have a different address for me already. I AM getting CMAC Tuning Training completed. It will be rolled out a little before the Fall meetings. See you on water, or maybe in the ballpark. Go Mariners! 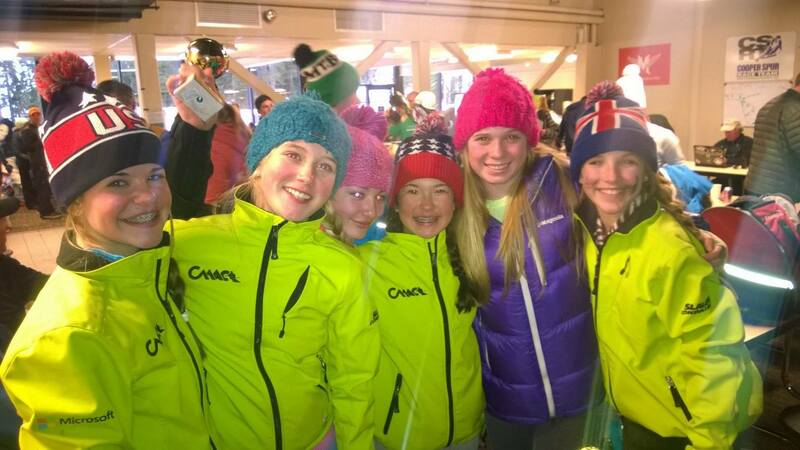 The only changes I would make to it are to say that for the U-16 skiers who have the biggest dreams, they should move to the FIS ski (whenever possible) as a 2nd year u16. It is just easier. 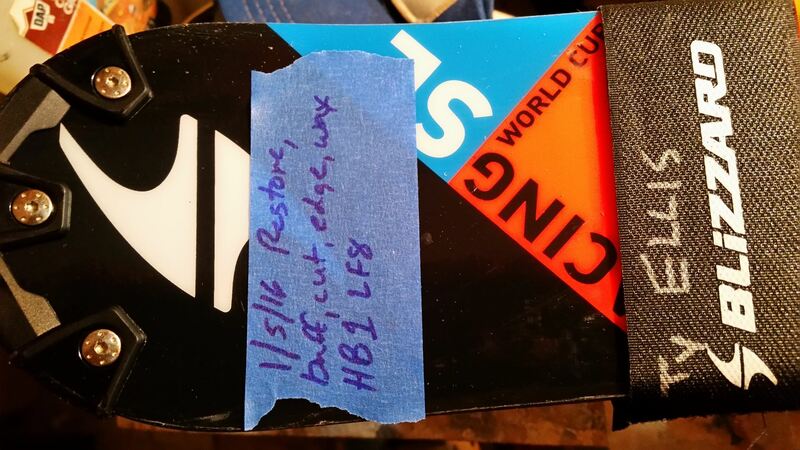 And for those FIS aged skiers (u19-u21) who do NOT plan on racing any FIS races at all (Northwest Cup would be their highest level), they DO NOT HAVE to have the newest FIS skis. Some of the Masters' skis are much less demanding and more fun. Here is a link to the USSA requirements. A quick glance will let you know that CMAC has more stringent recommendations than the USSA requirements. This is because we want to maximize Skier Development. Happy Ski Hunting! See you at the banquet. 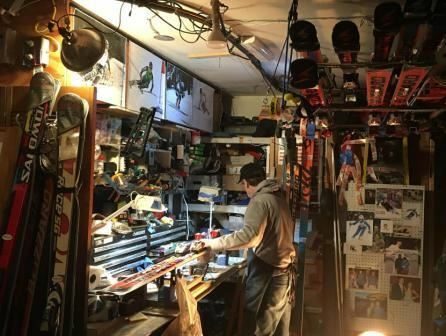 Sure, there are lots of ways to get a ski to glide better including structure, waxes, overlays, etc- but often I find the most basic area is overlooked: Putting the skis away properly every day after use and transportation. I will cover these 3 subjects: 1.) 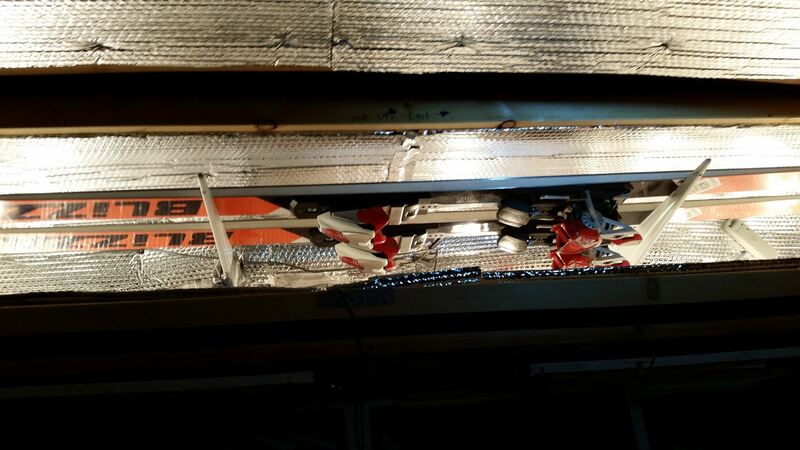 Clean, Dry Skis; 2.) Ski straps; and 3.) 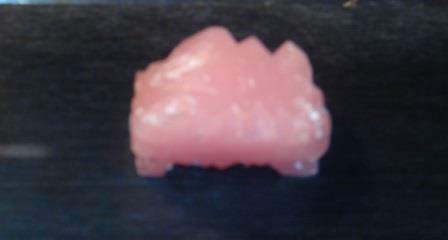 Waxed Edges. 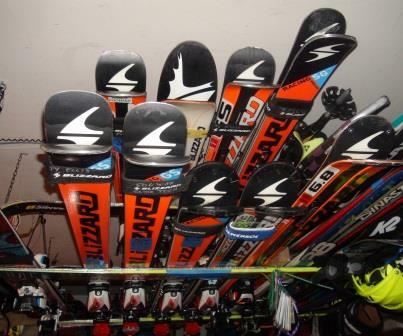 Put the skis away Clean and Dry. This is often as simple as a napkin, paper towel, or even dirty t-shirt wiping dirt and water off of the edges before the skis go into the car after skiing, and again when they come out after the trip. This is even more critical if salt or other chemicals were used on the hill. Rust and dirt are super slow. You don’t want them on your race skis. I see a lot of unneeded wear on bases because no (or too few) ski straps were used. A fast base structure is a lot of work (and/or money) to establish, you want to preserve and protect it. 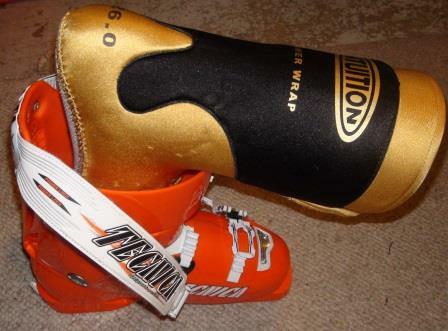 Ski straps are cheap and easy to find, so use 2-4 straps per pair of skis and protect those edges and bases! Does wax make edges faster? Well yes and no. Wax rubbed onto edges wears off on the snow within seconds so it doesn’t help much there. But wax rubbed onto a Clean, Dry ski retards the formation of rust considerably, and ANY rust is Super, super slow. 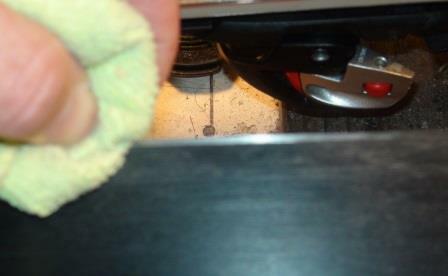 So as soon as the skis are clean and dry, rub some wax onto them and rub it IN with a clean, dry cloth. 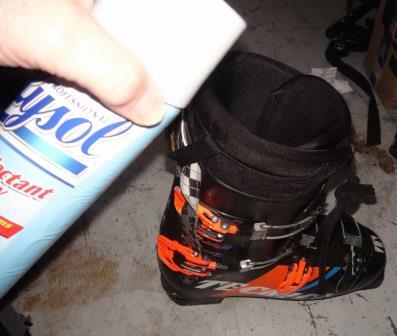 These 3 tricks will not cost you anything (you have ski straps and wax already, right? ), and combined they will make for longer lasting, faster, and better turning skis. #1: Ordering Gear (and tools): Many people don't like to think about skiing until after Summer- labor day at the earliest. Up to age 12 or so, you can get away with that, but once kid grow into Big Kid gear, you should start shopping in May or June (for great used skis/boots/bindings), and try to place orders for new FIS gear by late June at the latest. Does this seem crazy to you? Well, I know plenty of people who are sure this IS crazy, But you will get better prices, more selection, and overall higher quality if you START EARLY. DO IT!! #2:Prepping gear and tools: Boots should be fitted, stanced, and aligned before Summer camp, if at all possible. 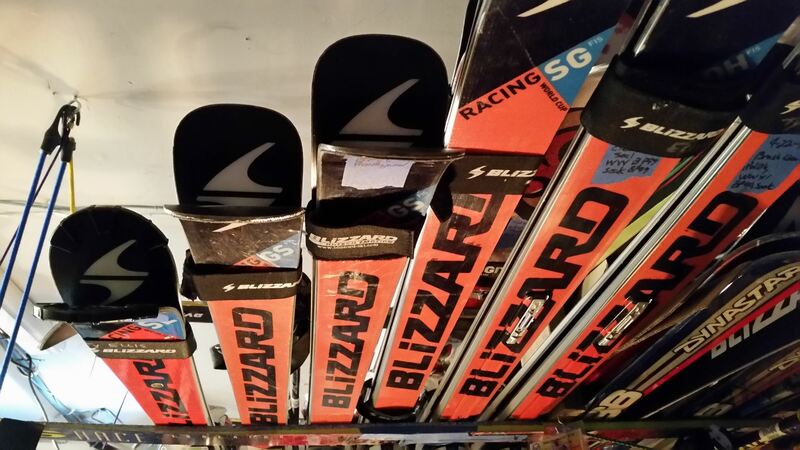 Skis should be prepped for Summer Camp, and again after. 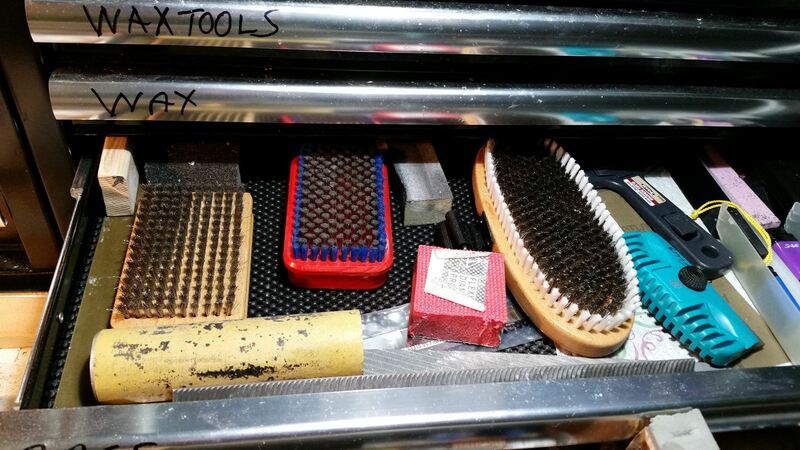 TOOLS: Wax, files, stones, and larger tools (irons, hotboxes, etc). should be purchased, prepped, organized, and setup for the year. 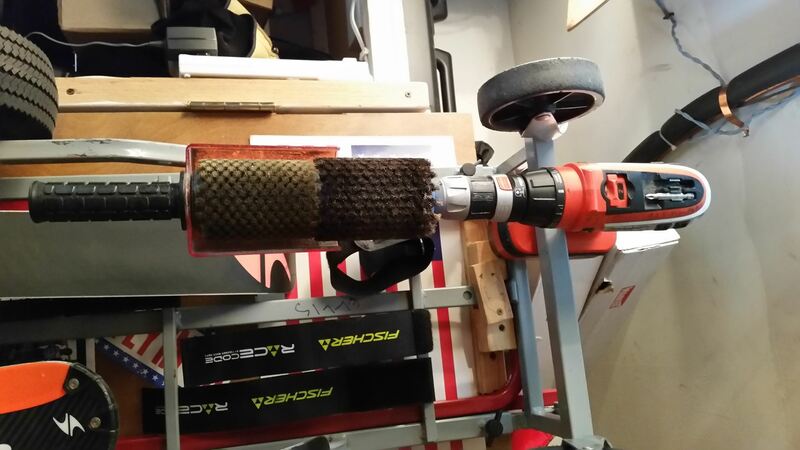 IF you have a large volume of work to do and little time to do it, consider buying or making a hot box, and buying rotobrushes. 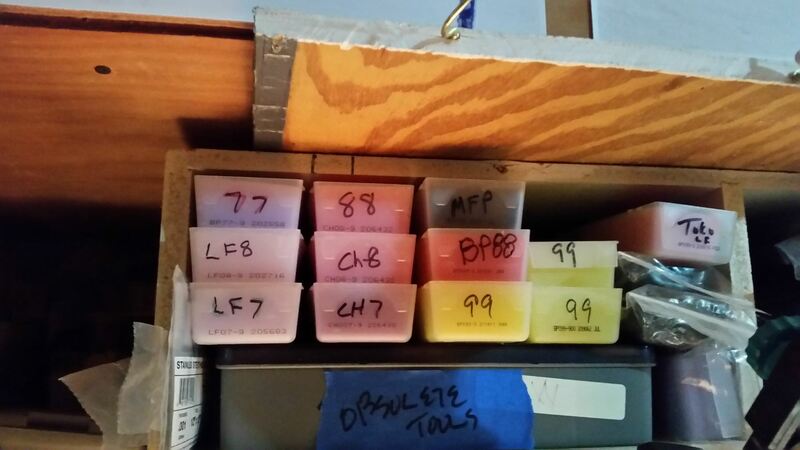 Start working with your tools in July, and by the time December rolls around, you will be ready! Bulk waxes under the hotbox- my double brush. For cleaning primarily in2 directions. 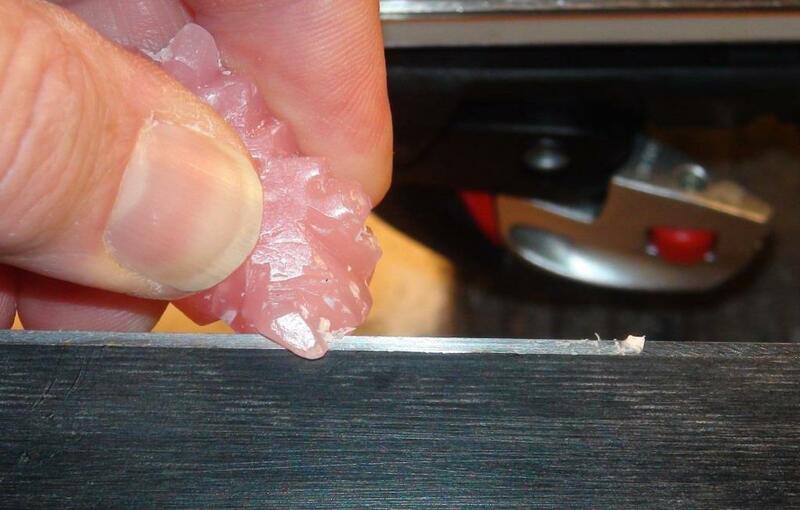 #3 Gear you REALLY want: A "ski glide" tool (also known as a Ray's Way Wax Wizard) is a HUGE time and money saver. 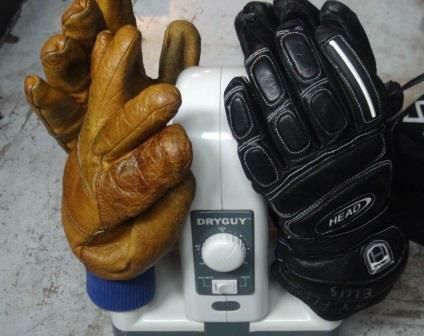 A digital iron is a requirement, a Hotbox, is super handy, and rotobrushes. Those last 2 are not requirements- but they can save 10s of hours over the course of the season. 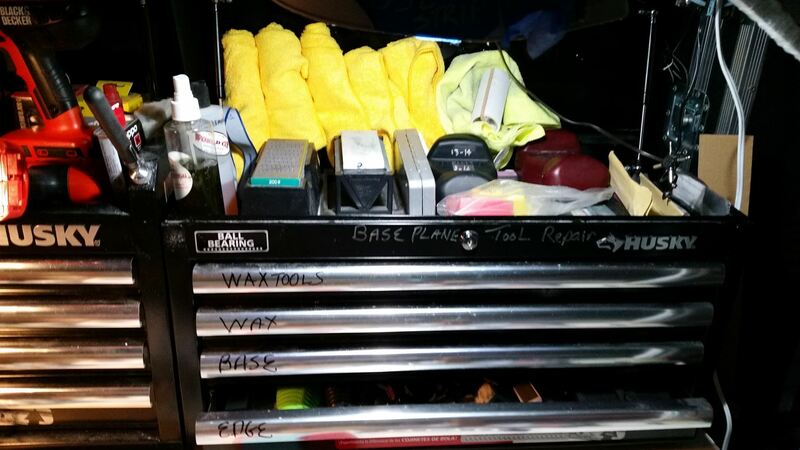 A GREAT toolbox helps with organization, and base flattening tools can help keep your racers fast and learning faster! Skis after a night in the hotbox. Note the "dry" spots... 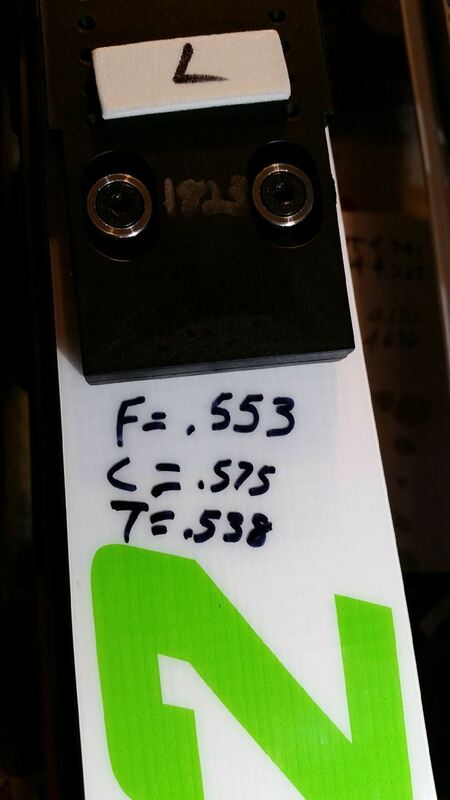 This tape has my personal code to help me keep track of work done. The translation to my son is "Dad loves you and is helping you ski fast!" #4 Long Term Planning: Get to know the older racers and parents of racers. Much of their Prized Gear will soon be surplus and could be yours. 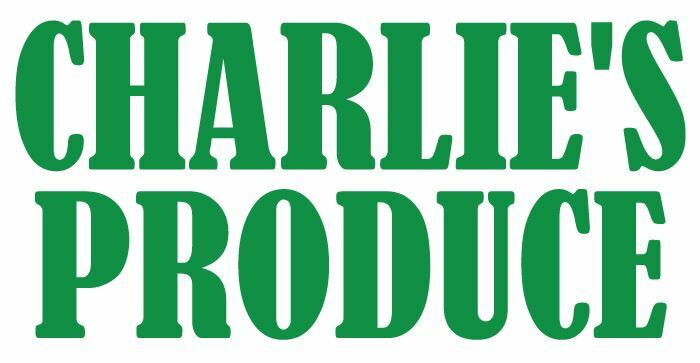 Develop relationships with gear peddlers and techs. As soon as is practical, pick a ski brand to work with. Ask for and listen to the advice of the reps from the ski companies you like best. These people are smart, and they are at least as passionate about the sport as you are.